Heavenly ice-cream - what's your favourite? 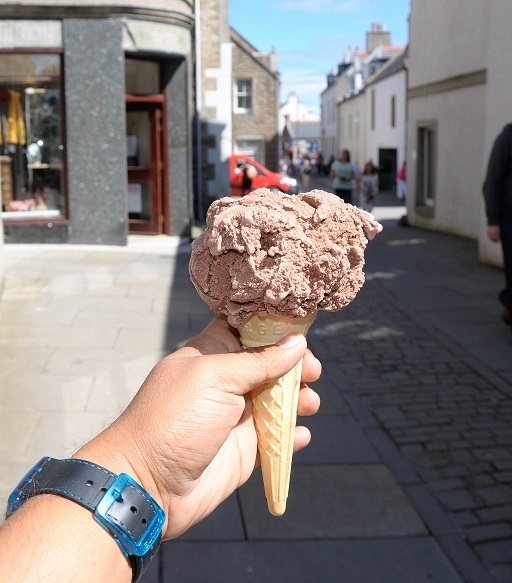 Orkney ice-cream is by far the best, they have lots of different flavours but the Orkney Fudge is definitely my favourite! 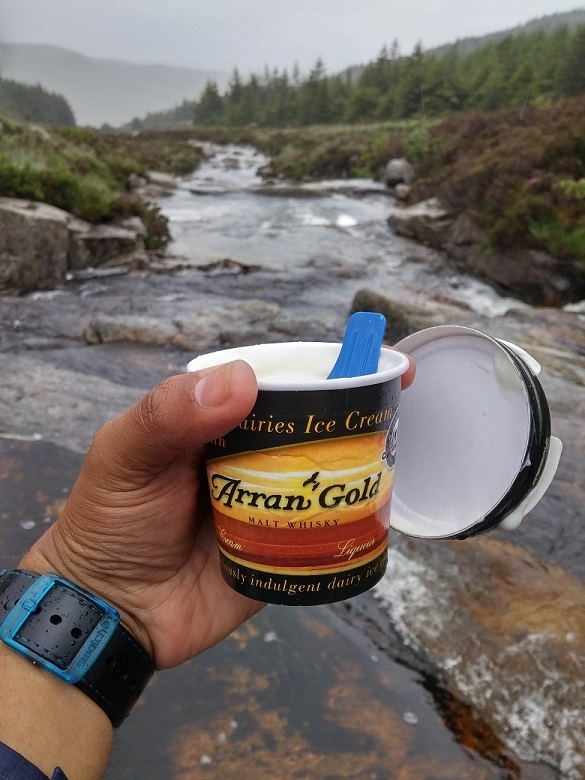 Isle of Arran icrecream, in particular the Whisky icecream. We are huge fans. Finally, this may seem like a joke but it's serious, the icecream served at La Favourita pizza shop. Their Mascarpone as well as Coconut + Dark Choc flavours are heavenly. I had the most wonderful cone from Mackenzies of Pitlochry - Chranachan (whiskey, oats, raspberries). I have a recipe if anyone is interested! New Lanark Visitor Centre make and sell amazing ice cream on site. I have sampled the jaffa cake and also heather honey. Bicocchis in Fraserburgh. It was where we got our ice cream when I was a teenager, and had one recently while visiting. Great home made Italian vanilla, the best kind of ice cream. Just had a lovely big vanilla cone from the Diving Gannet in St Monans, really thick and creamy and didn't melt quickly even on a really hot day. I really love tablet ice cream from Nardini's in Largs. Bicocchi's in Fraserburgh has yummy ice cream but it is a hard choice between there & Portsoy ice cream. Both have amazing flavours including Irn Bru.